Are you getting your “eight glasses of eight?” That’s a reference to the idea that we should be drinking eight eight-ounce glasses of water a day. The Mayo Clinic says that’s not quite enough, but it’s in the ballpark. I don’t really need any motivation to drink lots of water because I get really frequent headaches if I don’t keep myself hydrated. There’s nothing like a migraine for motivation! But I know quite a few people who would rather drink soda or juice than boring ole water. 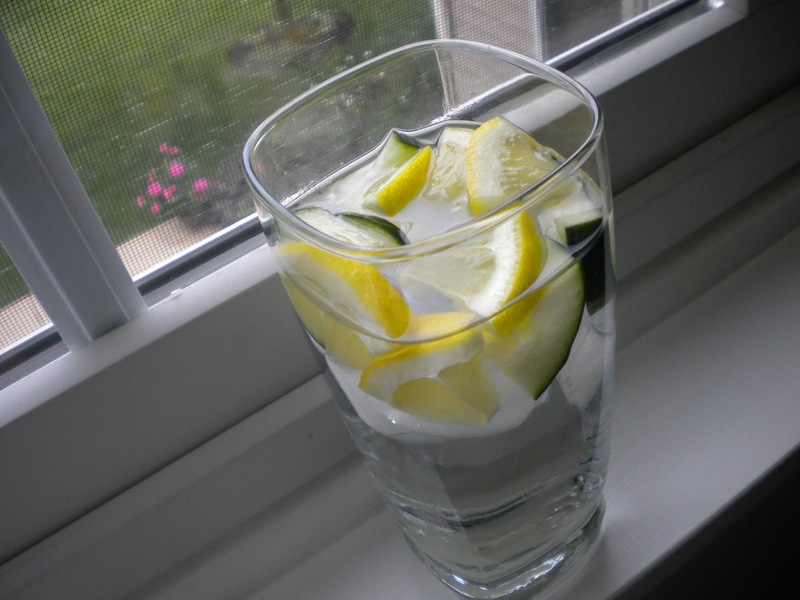 So how can you spice up your water intake? I’m here to solve that problem. This is my favorite because the tartness of the lemon works so well with the cool, smooth cucumbers. Plus, you don’t have to cut up an entire lemon or cucumber to get this drink! I literally only used a few slices and cut them into cute wedges. Add some ice, and you’ve got a sweet, refreshing drink for hot summer days. I love this mixture for the colors and also for the taste. The green apples are tart and sour while the nectarines I cut up are sweet and juicy (peaches would work great, too). For more fun, you also could try freezing berries in ice cube trays with some water. I haven’t tried it, but I saw it on Pinterest, and it looks like it would be delicious! Just throw a strawberry, some blueberries or maybe even blackberries into a few ice cube trays, and let them freeze. 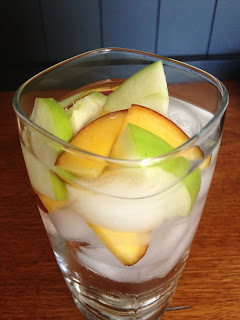 These also are fun, more convenient ways to spice up a boring old glass of water. I personally light Crystal Light best because it’s super easy to just slip one in a backpack or purse for on-the-go days, but I could see myself doing the same thing with Mio, too. Show me some of your favorite flavored water creations! Instagram College Gloss Mizzou (@collegeglossmizzou) or send us a TwitPic (@CollegeGlossMIZ)!